Come check out the incredible line of Caldera Spas. Northeast Factory Direct is very excited to bring you this exciting new manufacturer. Caldera stands alone in quality, durability and efficiency. The Florence hot tub by Caldera is the perfect tub for any setting. This tub is perfect for entertaining, relaxing and personal therapy. MULTIPLE OPTIONS FOR TUBS AND COLORS. PLEASE SEE NORTHEAST FACTORY DIRECT FOR OPTIONS AND DETAILS. SOME OPTIONS MAY NOT BE AVAILABLE FOR ALL TUBS. This is more than a hot tub it is an experience, a way of life, a decision to live better. The thoughtful open seat design of this 7’ spa that seats six adults makes it an ideal spa for entertaining friends or spending time with family. With 46 therapy jets and an Atlas® Massage System, it’s also perfect for enjoying a daily 20-minute renewal soak alone. Every Utopia Series spa is ready to use with our simple and intuitive FreshWater™ Salt System that generates chlorine from salt, keeping water clean and fresh up to three times longer than any other system. Our Utopia Series spas feature the beautiful and multi-dimensional Avante™ all-climate cabinetry, a durable material that will withstand harsh weather elements. Available in Sand, Slate and Brownstone. The Caldera Spas Florence by Caldera Spas at Northeast Factory Direct in the Cleveland, Eastlake, Westlake, Mentor, Medina, Macedonia, Ohio area. Product availability may vary. Contact us for the most current availability on this product. The Caldera Difference. We at Northeast Factory Direct are proud to announce our new partnership with the leader in hot tubs Caldera Spas. Caldera Spas is the front runner for hot tubs and are rivaled by none. With Caldera you get a higher standard of hot tub with the peace of mind that comes with such a worthy item. With Caldera you are not just purchasing a hot tub but a new lifestyle. Relaxation, health and fun are pure benefits with Caldera. Northeast Factory Direct is so proud to announce this amazing new relationship. For the premier hot tub experience stop into one of our locations to check them out. Welcome Caldera! 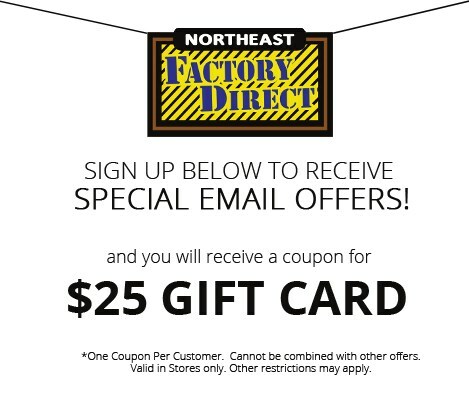 We at Northeast Factory Direct look for many years of partnership. Here is just some of the incredible features and functions of Caldera Spas. The Best Hot Tubs Combine Comfort, Design and Performance. There are many hot tubs and spas in the market today. However, the closer you look, the easier it is to narrow your choice. If you want to transform tension into rejuvenation every time you step into your hot tub, look no further than Caldera Spas. Our goal has always been to create the best hot tubs – the most comfortable, energy-efficient and high-performance spas on the market – so you can enjoy the full range of wellness benefits that a spa can offer. The best hot tubs are designed for comfort. We consider comfort an essential element in hot tub design, because it ensures a relaxing experience and enhances the benefits of soaking in hot water. The best hot tubs are designed to awaken the senses. From the rich colors and contemporary cabinet styles to the organic contours of our sculpted seats, every element is intended to soothe and delight. The best hot tubs are designed for performance. For advanced hydrotherapy Caldera Spas hot tubs are built with the highest quality components to ensure years of dependable performance. The best hot tubs are designed for style. Soaking in a Caldera spa is an experience that awakens the senses. From the stylish design to the sculpted seating, every detail is intended to soothe the mind and body. We’re passionate about this business because we know how effectively a spa can release tension from body and mind, relax muscles, promote flexibility and even alleviate pain. As hot tub enthusiasts, we believe hydrotherapy fosters positive personal change. That belief influences how we design. We Design for Comfort. A spa should be a full-body experience with therapeutic benefits available to all major muscle groups and areas where you’re most likely to store tension. In a Caldera Spa, you’ll find a variety of jets that soothe muscles and help you release tension. Caldera seats are carefully sculpted and configured to release pressure and keep you seated even when the jets are on. It’s no wonder that our spas are considered by many to be the most comfortable spa available. We Design for Performance. Caldera spas are carefully constructed to provide years of carefree performance despite frequent, daily use. As a result, we build one of the best spas in the industry with high-quality, efficient heaters, pumps and other components and durable, reinforced acrylic interior surfaces. We continue to innovate and improve our techniques, and design and search for energy-efficiency technologies, such as our new FiberCor® insulation. We Design for Style. Great design is soothing. It’s the extras that heighten the experience, enhance the calming effects and make the ordinary seem exceptional. How do style considerations take shape and affect the overall experience? With details and options such as LED illumination, the sound of comforting waterfalls, and entertainment systems that allow you to create a customized ambiance. Stop into Northeast Factory Direct and check out the amazing line of Caldera Spas. This item is tagged as hot tub, hot tubs, spa, spas, swim spas, swim spa, hot spring, whirlpool, sauna, bath, outdoor, patio, luxury, good life, this is living, lifestyle, exercise, way of life, relaxation, therapeutic. And awesome. The Caldera Spas collection is a great option if you are looking for Pools and Hot Tubs in the Cleveland, Eastlake, Westlake, Mentor, Medina, Macedonia, Ohio area. Browse other items in the Caldera Spas collection from Northeast Factory Direct in the Cleveland, Eastlake, Westlake, Mentor, Medina, Macedonia, Ohio area.